We are generally accustomed to thinking of 19th century photography as quite static and rigid, and for much of its early history, technical limitations ensured that it was. Portraiture especially presented a challenge to early photographers, since it involved subjects who wanted, or needed, to move, while long exposure times called for maximum stillness. Thus, we have the stiff, unsmiling poses of people trying to make like trees and stay planted in place. One striking exception, from 1843, shows us a jovial grouping of three men in the first known picture of merry-making at the pub. Though staged, and including one of the duo of photographers responsible for the portrait, the image has all the vitality of an off-the-cuff snapshot. We might be surprised to learn that it would only be a few decades later, before the turn of the century, when truly candid shots of people in action could be made with relative ease. The Concealed Vest Camera was invented by Robert D. Gray, notes Camerapedia. In 1886, C.P. Stirn bought the rights to the device, and his brother Rudolf manufactured them in Berlin. 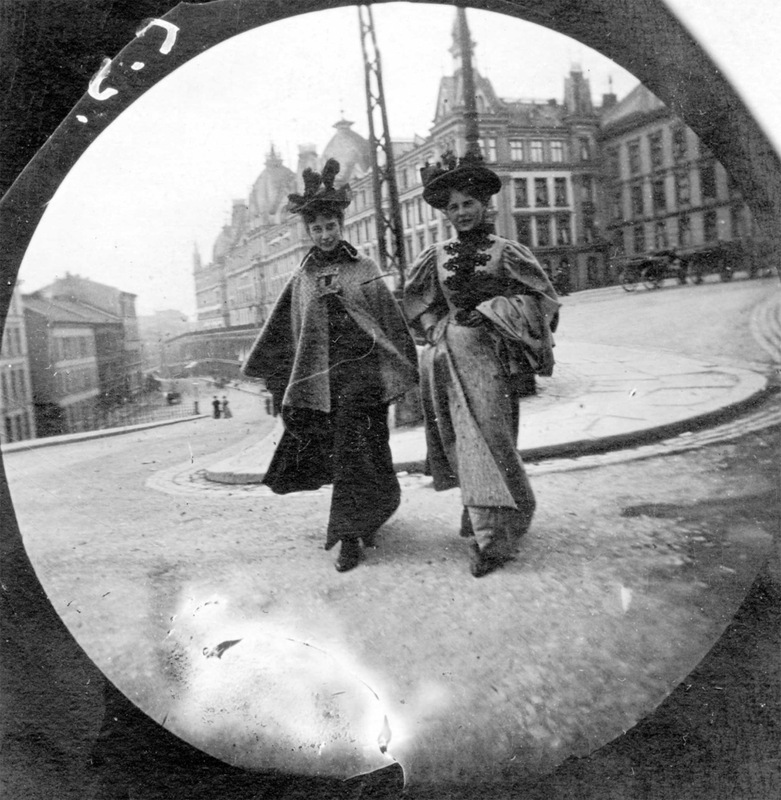 The camera came in two sizes, “one for making four 6cm wide round exposures… the other with a smaller lens funnel, for making six 4cm wide round exposures.” Marketed by Stirn & Lyon in New York, the cameras sold by the tens of thousands (as the ad above informs us). 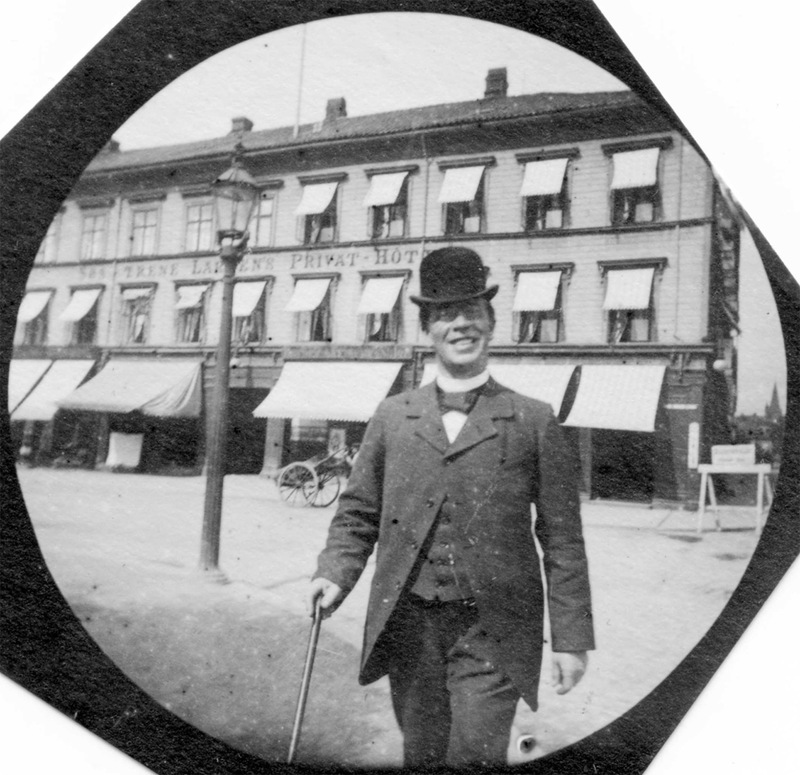 Størmer’s own camera was the smaller version, as we learn from his comments to the St. Hallvard Journal in 1942: “I strolled down Carl Johan, found me a victim, greeted, got a gentle smile and pulled. Six images at a time and then I went home to switch [the] plate.” The future scientist, soon to be known for his work on number theory and his status as an authority on polar aurora, took around 500 such secret photographs. (See 484 of them at the Norwegian Folkemuseum site.) 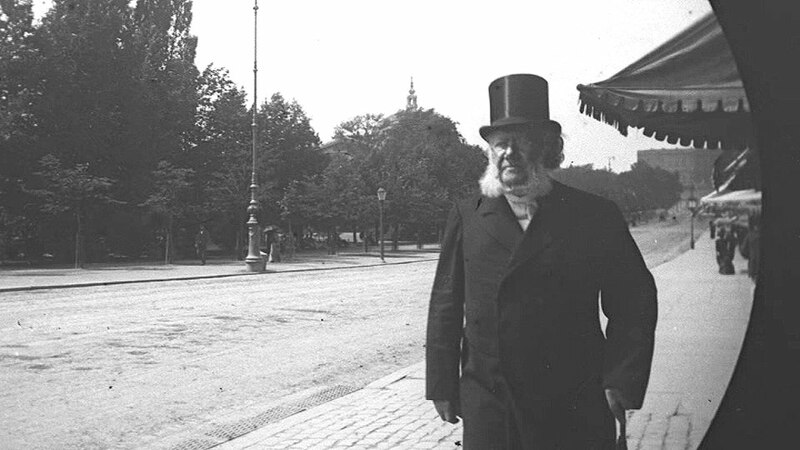 He even managed to get a shot of Henrik Ibsen, just above. 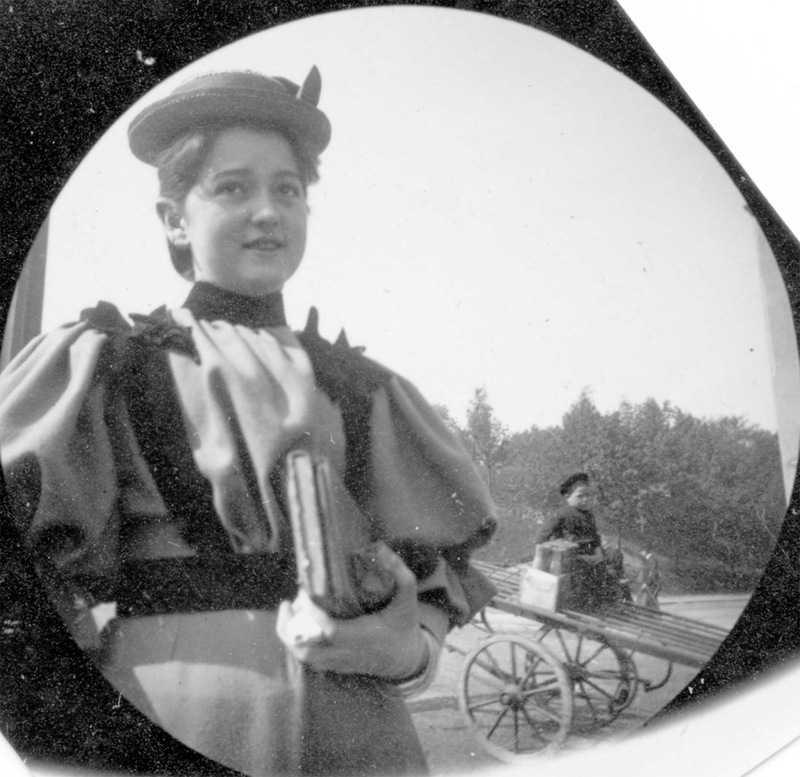 The Stirn Vest Camera joins a number of other early clandestine imaging devices, including a telescopic watch camera made in 1886 and book camera from 1888. Spy cameras were refined over the years, becoming essential to espionage during two World Wars and the ensuing contest for global supremacy during the Cold War. 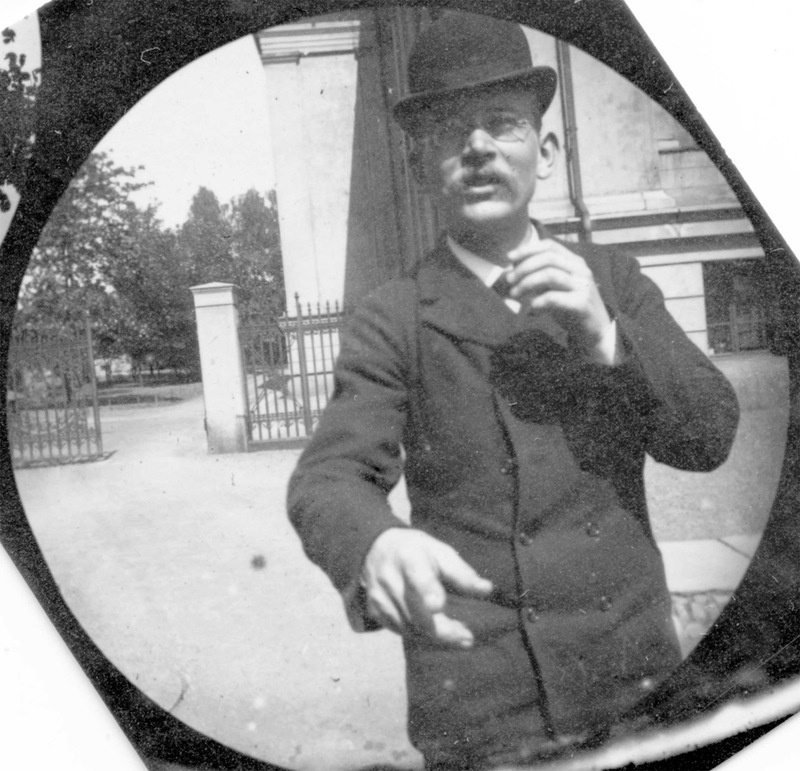 But Størmer’s photographic interests became more germane to his scientific work. “Together with O.A. Krognes,” writes the Norwegian Northern Lights site Nordlys, he “built the first auroral cameras” and took “more than 40,000 pictures” of the phenomena (learn more about such work here). Størmer’s Northern Lights photos are much harder to find online than the charming buttonhole camera portraits from his student days. 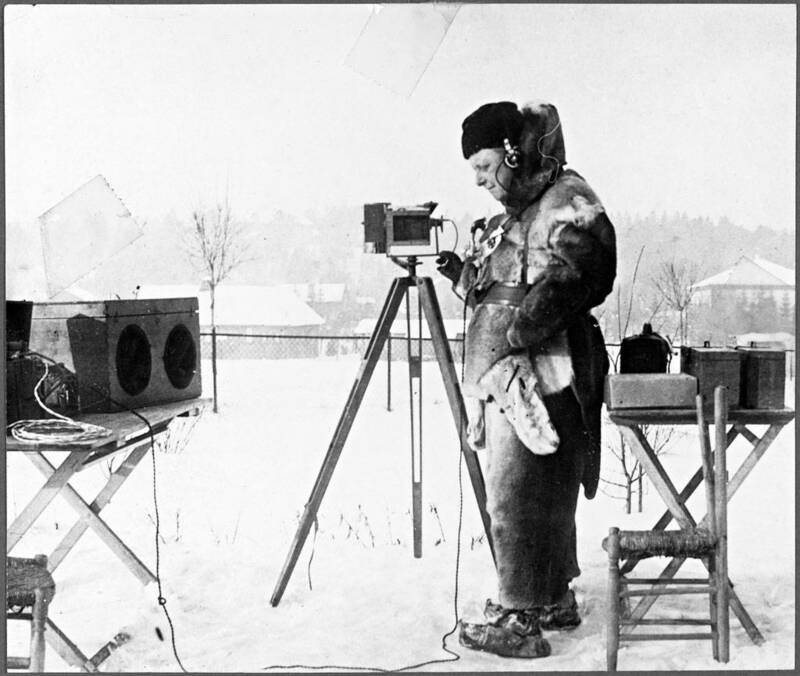 But just above, see an image from eBay purporting to show the scientist and photography enthusiast bundled up behind a camera, photographing the aurora.